I have a confession; I’m addicted to internet shopping. Every day is Xmas Day for me when I know that a parcel will be awaiting me on my return from work regardless of the contents. In recent weeks I’ve ordered tent pegs (to keep the Herons away from my Dad’s Koi carp), a stress ball (for the old fella thanks to a recommendation from a fellow blogger) and spot on flea treatment for the Hellfire Gang along with brave pills for me. Funds permitting (i.e. when I sell a lung or kidney), I do occasionally order Dermalogica and Molton Brown products which help to soothe away the stresses of working within a Game of Thrones environment (with only slightly less bloodshed and fewer northern accents). Whilst most of the above are not truly very exciting the buzz I get when I know that there will be an unwrapped package sitting at home awaiting my attention. The anticipation of ripping off the wrapping to discover the contents of some recent purchase will have me singing and dancing all the way to the bus stop for the homeward journey. Just knowing that a parcel has been delivered by the local postie who without fail says “somebody loves you” before handing it over to the old folks, will automatically make it a sunshine day. An even bigger thrill is being able to surprise a loved one with some unique gift which I know will make them smile or help celebrate a special milestone. Anyway can’t sit around here all day as a rechargeable facial brush and battery operated foot exfoliator won’t order themselves. So come on then, what small indulgence makes your day? No I’m not an online shopper – I have more simple tastes these days! Two things: garden supplies for the Late Bloomer Garden (I am expecting a shipment of Fungus Pharm to fight powdery mildew in my food garden as well as more tomato clips to tie up my out-of-control vines), and my monthly essential rewards order from Young Living Essential Oils, which could include anything from essential oils and oil blends to skin care and nutritional products like Ninxia Red, the high antioxidant drink. Do I sound like a rep? I am! Contact me if you want to know more! Thanks for the fun post, Dallas! My Dad says your internet shopping is more interesting than mine!!! You gardeners are a strange bunch – have you got a website for your oils etc? You know you had me at shop o’clock! I don’t do a lot of internet shopping strangely enough, although my son likes to purchase that way and hub too, I’m more of a touchy feely want the whole experience of shopping — the most recent online purchase was today, I bought a bunch of gifts to give out at blogHer next week. It IS satisfying! Question, did you order a Clarisonic online? I have one, they are amazing! Enjoy! Which one is that, I’ll have to do some research now so will be up late now and on a school night too! Clarisonic is the premiere “brand” name, I should be paid to say that but I’m not. Sometimes I think it’s best to go with the more expensive one if it’s made better and will last longer. I’ve been really happy with mine. If you email me your mailing address, you’ll have a package waiting from me! What are brave pills? I feel like I MUST buy some. My small indulgence is splurging on a hot yoga class. It’s my natural ‘brave’ pill, I think! I love it and its so nice to have a parcel to come home to; think of all those nice Tuscan things you could have shipped! My small indulgence is a cup of tea in bed especially if it’s sunny and I can arrange all the pillows comfily and sit back in the warm sunshine – which I did today! Great start to the morning! I usually just order e-books on my Kindle which I guess is y small indulgence. However my big indulgences are order online clothes at Anthropologie and The Container Store. I’m not sure if The Container Store has any stores outside the US but just walking in/going onto their website, you feel a sudden urge to buy boxes and all these things for storage to organize your things. I am the queen of internet shopping! If I never had to go into a brick and mortar store again I would be happy. I buy nearly everything on line from furniture to clothing, shoes to cars. I love on-line shopping, it is the best thing in the world. Oh I totally feel u… Each time I order something… It’s like Christmas in summer!! 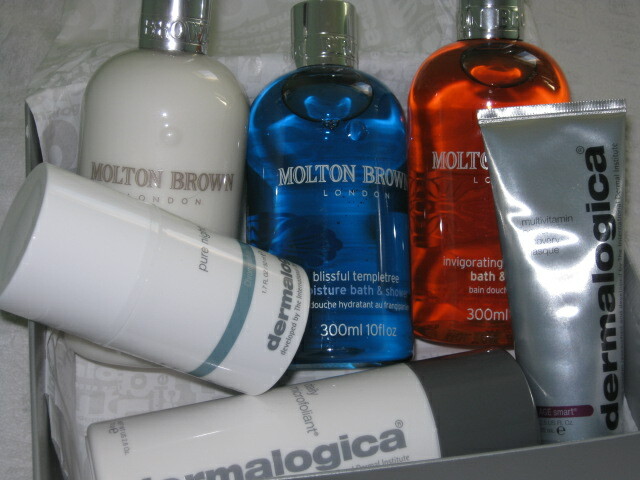 Molton Brown Black Pepper is my favorite fragrance! The other day I started looking at vintage dresses on Etsy. I had to force myself to close the computer or I would be in a lot of trouble.